At just over nine miles long, the Pocantico River is one of the smallest tributaries monitored in Riverkeeper’s citizen science program. Although it is located in a predominantly suburban area, the Pocantico watershed includes a substantial portion of forested land. The watershed also features a number of historical features, such as the stone bridges of Rockefeller State Park, the restored Phillipsburg Manor estate and Sleepy Hollow Cemetery. The Pocantico begins at Echo Lake, adjacent to the Saw Mill River Parkway in New Castle. From there the river’s flows through a patchwork of suburban and undeveloped areas, emptying into the Hudson at Kingsland Point Park in Sleepy Hollow. In addition to sampling along the main stem of the Pocantico River, citizen scientists collect samples in three Pocantico River tributaries. Read Riverkeeper’s 2018 data summary for the Pocantico Watershed. 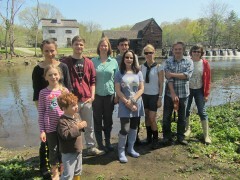 Riverkeeper partners with local residents to test the Pocantico River. Riverkeeper’s Boat Captain samples at the Pocantico’s mouth at Kingsland Pt Park. 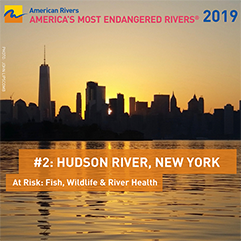 This portion of the Hudson Riveris designated class SB, meaning that water quality must support primary and secondary contact recreation and fishing. New York State’s official waterbody inventory (the “305(b) list”) lists much of the Pocantico River, as well as Echo Lake and Pocantico Lake, as “unassessed,” and in fact NYSDEC’s assessment of the non-tidal Pocantico River is based on data collected at one sampling point in Sleepy Hollow. Nonetheless, impacts from wastewater discharges were not identified during the inventory. Westchester County citizen volunteers sampled the water in Pocantico Creek from 2004-2006 and 2008-2010 as part of the county’s Citizen Volunteer Monitoring Program. For most of those years, the program sampled one site in Rockefeller State Park, although two sites were sampled in 2009. From 2004-2006, the sampling showed good water quality in the Pocantico River. From 2008-2010, some water quality parameters exceeded recommended levels. The Pocantico River watershed includes areas that are served by publicly owned wastewater treatment plants, privately owned wastewater treatment plants and septic systems. Most of the watershed is included in the Saw Mill Sewer District, which sends wastewater to the Yonkers Wastewater Treatment Plant, located outside of the watershed boundary. This plant is part of a combined sewer system, meaning that wastewater is combined with surface runoff before entering the plant. During wet weather, the large volume of combined storm water and wastewater can exceed the plant’s capacity, resulting in combined sewer overflows (CSOs). These are discharges of untreated or partially treated sewage directly into the Hudson River from outfall pipes along the shoreline. Some areas along the western edge of the Pocantico River watershed are part of the Ossining Sewer District, which sends wastewater to the plant in Ossining. Finally, there are portions of the watershed that are not part of any county sewer district. Even within the sewer district areas, some homes and businesses utilize septic tanks. Wastewater treatment plants (including CSO outfalls) are regulated under the State Pollution Discharge Elimination System (SPDES). 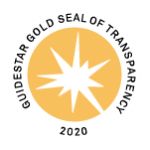 Information on SPDES permit compliance and enforcement can be found online at EPA’s ECHO database. There are no SPDES permit holders located within the Pocantico Watershed.